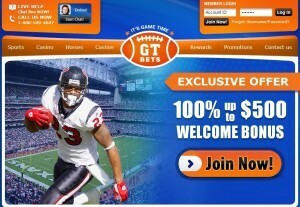 BET on ALL Sports at A+ GRADE GT Bets Sportsbook - 100% Bonus 1st Deposit! NFL & College Football Picks Season Packages - CLICK HERE! Welcome to NSAwins.com "Betting Daily" Sports Betting & Handicapping Blog! Welcome to our blog extension of the NSAwins.com brand, our exclusive “Betting Daily” blog. Every week we will be posting updates on vegas odds(sports and entertainment), sports handicapping information, free sports picks, opinions on hot sports topics, sports predictions, exclusive sportsbook offers, and much more. The “Betting Daily” blog from NSAwins.com will be linked to from every page on NSAwins.com so feel free to navigate to and away from our blog section by clicking on any link posted on our website. Be sure to visit our “Betting Daily” blog daily, as we will be posting odds and exclusive previews, picks and predictions from our top handicappers that will not be available anywhere else. Also, we strongly advise all of our viewers to "like" our Facebook page so you can get updated each time a new article gets posted on our "Betting Daily" blog. The post 2019 NL Pennant Odds & Predictions – Dodgers the +350 Favorite appeared first on NSAwins.com - USA's #1 Sports Handicapping Service!. Hornets @ Wizards Free Pick – Friday NBA Sharp Info Play! The post Hornets @ Wizards Free Pick – Friday NBA Sharp Info Play! 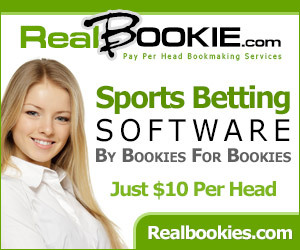 appeared first on NSAwins.com - USA's #1 Sports Handicapping Service!. The post Xavier vs Villanova Free Pick – 2019 Big East Tournament Semifinals appeared first on NSAwins.com - USA's #1 Sports Handicapping Service!. The post 2019 Auto Club 400 Picks & Predictions: Value Bets at Auto Club Speedway appeared first on NSAwins.com - USA's #1 Sports Handicapping Service!. The post 2019 AL Pennant Odds & Predictions – Yankees & Astros the Favorites appeared first on NSAwins.com - USA's #1 Sports Handicapping Service!. The post Illinois vs Iowa Free Pick – 2019 Big Ten Tournament 2nd Round appeared first on NSAwins.com - USA's #1 Sports Handicapping Service!. The post West Virginia vs Texas Tech Free Pick – 2019 Big 12 Tournament Quarterfinals appeared first on NSAwins.com - USA's #1 Sports Handicapping Service!. The post 2019 Auto Club 400 Odds & Predictions: Favorites & Bad Bets at Auto Club Speedway appeared first on NSAwins.com - USA's #1 Sports Handicapping Service!. The post 2019 Big East Tournament Odds & Predictions – Villanova the +200 Favorite appeared first on NSAwins.com - USA's #1 Sports Handicapping Service!. Nets @ Thunder Free Pick – Wednesday NBA Wiseguy Steam! The post Nets @ Thunder Free Pick – Wednesday NBA Wiseguy Steam! appeared first on NSAwins.com - USA's #1 Sports Handicapping Service!.